on Is There Life after Therapy? Marilyn Monroe ON THE COUCH: Inside the mind and life of Marilyn Monroe. Marilyn Monroe died on August 5th 1962 and if she were alive today she would have been 87. We all know her as one of the most famous sexpots that ever lived and that she starred in a number of commercially successful motion pictures during the 1950s and early 1960s. Today, If we check out Amazon.com, we will discover that there are over 13,000 products associated with her name in one way or another. Why are we still obsessed with her? And with all her notoriety, do we really know the real Marilyn Monroe who never met her biological father and whose mother was placed in a state mental institution, where she remained for much of her life, when Marilyn was only seven years of age. Sadly, Marilyn always claimed that she was born a mistake and that her mother never wanted her. Using her experiences and skills as a psychoanalyst for over thirty-seven years coupled with her vast research, Alma H. Bond has presented through the voice of a fictitious Manhattan psychoanalyst, Dr. Darcey Dale a unique and striking picture of Marilyn Monroe with her recent tome Marilyn Monroe ON THE COUCH: Inside the mind and life of Marilyn Monroe. Bond embraces much of which is familiar to her subject, as a great deal has already been exposed by the various media, nonetheless, taken as a whole, her approach allows for readers to get a better understanding of this Hollywood icon. It also provides us a clearer insight concerning the human mind and emotions as well as bringing up the old nature versus nurture debate where it is not exactly clear when it comes to explaining a person's behavior, intelligence, and personality. In Marilyn's case we cannot say for certain that because her mother was mentally ill that this gene was passed onto her daughter. Neither can we attribute with absolute certainty that her unstable behavior was the result of being sexually abused as a child or that she was kicked around from one foster home to another as well as being placed in an orphanage? Probably, both sides of the debate are correct in their assessments of Marilyn as we are to discover from these imaginary psychoanalysis sessions which stretched over seven years from the late 1950s to the early 1960s. Dr. Dale informs us that she had been in practice for thirty-seven years when she received Marilyn as a patient whom she describes as being “the loveliest, most famous, complicated, and most difficult patient of my long and high successful career.” It is all of these traits and more that readers will be exposed to in Bond's book including Marilyn's takes concerning her failed marriages, her turbulent acting career, her liaisons with famous personalities as John F. Kennedy, her unpredictable moods, her dependence on drugs and alcohol, her several attempts at suicide, her relationship of Lee Strasberg, and many more that will maintain your interest. An engrossing exploration of a tortured and troubled actress that even today leaves us with more questions than answers. And no doubt the “what if” questions always looms in the back of our minds as we would be asking what would she be like if she were alive today? 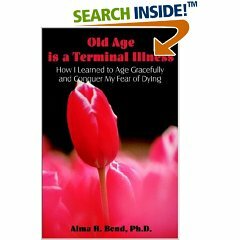 About the Author: Alma H. Bond, PhD, is a psychoanalyst and the author of 19 published books. She received her Ph.D. in Developmental Psychology from Columbia University, graduated from the post-doctoral program in psychoanalysis at the Freudian Society, and was a psychoanalyst in private practice for thirty-seven years in New York City. She "retired" to become a full-time writer. JACKIE O: was published on August 15, 2011. Click on The Link to the left to Read the Review. Click on the Link Below to Buy the Book. Margaret Mahler was from a young age intrigued by the theories of Sigmund Freud and Hungarian psychoanalysts such as Sandor Ferenzci, with whom she became acquainted while a student in Budapest. Forced to flee Europe and rising anti-Semitism, Margaret and her husband, Paul, came to the United States in 1938. It was after this move that Mahler performed her most significant research and developed concepts such as the ground-breaking theory of separation-individuation, an idea which was given credence by Mahler's own relationship with her father. This volume details the life and work of Margaret Mahler focusing on her life's ambition--her psychoanalytical work. Her experiences with the Philadelphia Institute and her definitive research through the Masters Children's Clinic are also discussed. Dr. Alma Halbert Bond is a psychoanalyst who was in private practice for 37 years. She is the author of 14 published books. 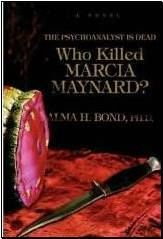 In addition to the new book mentioned above, her publications include, Who Killed Marcia Maynard? : The Psychoanalyst is Dead, Camille Claudel: A Novel, The Deadly Jigsaw Puzzle, The Tree That Could Fly, Murder on the Streetcar, Tales of Psychology: Short Stories to Make You Wise where Paragon House stated that it “is proud to announce a brilliant new anthology reaching into the depths of human nature, Tales of Psychology: Short Stories to Make You Wise, by Psychoanalyst Alam Bond.” " "Maria," her play about the life and loves of Maria Callas, was recently produced off-off Broadway at Ye Waverly Inn., The Autobiography of Maria Callas, a Novel, Who Killed Virginia Woolf? 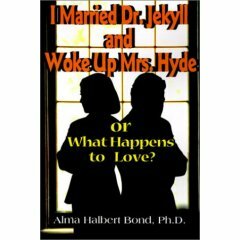 A Psychobiography, and I Married Dr. Jekyll and Woke Up Mrs. Hyde; . Dr. Bond teaches Psychology & Writing online at WriterSchool. She is a member of the International Psychoanalytic Association, the American Psychological Association, and the Institute for Psychoanalytic Training and Research, where she is a fellow, training analyst, and faculty member. 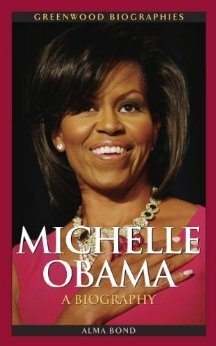 She is listed in Who's Who in America , and 20 other biographies. Review in "Bookviews," by Alan Caruba says, Dr. Alma Bond is one of the nation's leading psychoanalysts as well as the author of 11 books. Her latest is "Tales of Psychology: Short Stories to Make You Wise." "Maria," her play about the life and loves of Maria Callas, was recently produced off-off Broadway at Ye Waverly Inn. Paragon House is proud to announce a brilliant new anthology reaching into the depths of human nature, Tales of Psychology: Short Stories to Make You Wise, by Psychoanalyst Alma Halbert Bond. Tales of Psychology: Short Stories to Make You Wise is a stunning collection of short stories by both award winning and unknown authors that ranges from the most exalted in human character to the most depraved. Dr. Bond combines this collection with her astute psychological explanations of the meaning behind each story. Warren Thurston, owner of Boggle Books, writes, To read the book is to take a tour of a psychological gallery, with Doctor Bond orchestrating what the reader will see next. Her choice of stories brings forth images too powerful to ignore. Primeval urges that shake the reader from their normal state, taking them on a journey to a world hidden deep within their consciousness. This book will indeed provide many hours of reading pleasure. These stories bring to light truths of human nature through fine writing. From alcoholism to defense mechanisms and mental retardation, Tales of Psychology presents life-changing literature. You will recognize different aspects of yourself and those around you within the pages of this collection. Tales of Psychology is a subtle and rich collection that will lead you into the heart of thought and beyond. It is the perfect volume for everyone from students and professionals to those with curious minds and is also highly recommended to teachers and professors of psychology for an original and elegant method of teaching in the classroom. The following is a sampling of stories housed within Tales of Psychology: A Small, Good Thing, by Raymond Carver, The Middle Years, by Henry James, Silent Snow, Secret Snow, by Conrad Aiken, The Region of Ice, by Joyce Carol Oates, Paul's Case, by Willa Cather, and My Apology, by Woody Allen. Each story is followed by a discussion of the psychological principles revealed. Dr. Bond's astute analyses add depth and understanding to the words of these great writers. Dr. Alma Halbert Bond was born in Philadelphia, Pennsylvania, and received her B.A. from Temple University with Honors in Psychology, and her Ph.D. from Columbia University in Developmental Psychology. She retired from a highly successful Manhattan practice as a psychoanalyst in 1991 to write full time. She belongs to the International Psychoanalytic Association, the American Psychological Association, and is a fellow and former faculty member of the Institute for Psychoanalytic Training and Research. She also is a member of the Dramatists Guild, American Society of Journalists and Authors, Florida Freelance Writers Association, and the Writers Guild. Since her “retirement” Dr. Bond has had fifteen books published. 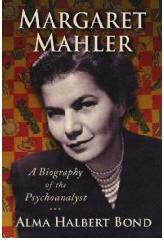 Margaret Mahler, a Biography of the Psychoanalyst, was recently published by McFarland Publications and awarded a Finalist in the Biography category of the National Best Books 2008 awards, sponsered by USA Book News. Dr. Bond’s other books include Camille Claudel, a Novel, Old Age is a Terminal Illness, Tales of Psychology: Stories to Make You Wise, The Autobiography of Maria Callas, a Novel, Who Killed Virginia Woolf? A Psychobiography, On Becoming a Grandparent, Is There Life After Analysis? America’s First Woman Warrior: The Courage of Deborah Sampson (with Lucy Freeman). Her play Maria (about Maria Callas) was presented at Ye Waverly Inn Theatre off-off-Broadwaya few years ago. It also was a winner of the Southern Appalachian Repertory Theatre Festival. Maria will be presented again at the Philharmonic, in Naples, Florida, in February, 2009. Dr. Bond has had many professional articles published in prestigious psychoanalytic journals. She has also written numerous interviews for magazines and newspapers, including "My Memories of Marlon Brando," published in Remember, and "The Romance of the Golden Greeks: Maria Callas and Aristotle Onassis," in Greece Travel Magazine. Both articles received awards for fine journalism from the state of Florida, as have many of her articles, interviews, and novel chapters. 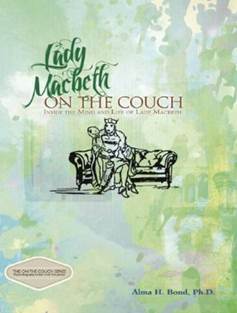 She was on the faculty of the Institute for Psychoanalytic Training and Research for many years, and is now a faculty member of WritersSchool online, where she teaches Margaret Mahler, a Biography of the Psychoanalyst recently was an award finalist in the Biography category of the National Best Books 2008 awards, sponsored by USA Book News. 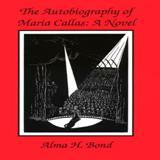 Alma Bond’s book, The Autobiography of Maria Callas, a Novel, was runner-up in the First Novel Contest of Hemingway Days. Her short story, “The Latch That Wouldn't Lock,” was included in Ten Top Short Stories of 1993. Camille Claudel, a Novel, was given an award for best novel chapter by Florida State and was chosen Editor’s Pick by Computer Magazine. She is listed in Who's Who in America, International Authors and Writers Who's Who, and twenty other biographies. Dr. Bond has a gifted and prestigious family, all of whom have published books. She is the widow of the late stage, screen, and TV actor, Rudy Bond, who appeared, among other productions, in the original Broadway production and the films A Streetcar Named Desire and The Godfather. His book, I Rode A Streetcar Named Desire, was published posthumously. Alma Bond is the mother of Zane Bond, Jonathan Bond (CEO and co-founder of the hip advertising agency, Kirshenbaum, Bond, & Partners), and Janet Bond Brill. Jonathan's book, Under the Radar, was published last year by John Wiley and Sons. Zane’s book, A Prophet Operating at a Loss, was published several years ago by Writers Club Press. Janet is an assistant professor of Nutrition and Exercise Physiology at the University of Miami. Her book CholesterolDown, was published recently by Random House and is a best seller. Dr. Bond is the proud grandmother of eight young children, none of whom have published books as yet. The youngest, Damion Phillip, was born on October 14, 2008.
move to Key West in Florida and immerse herself in writing. accepted into the Analytic Society.